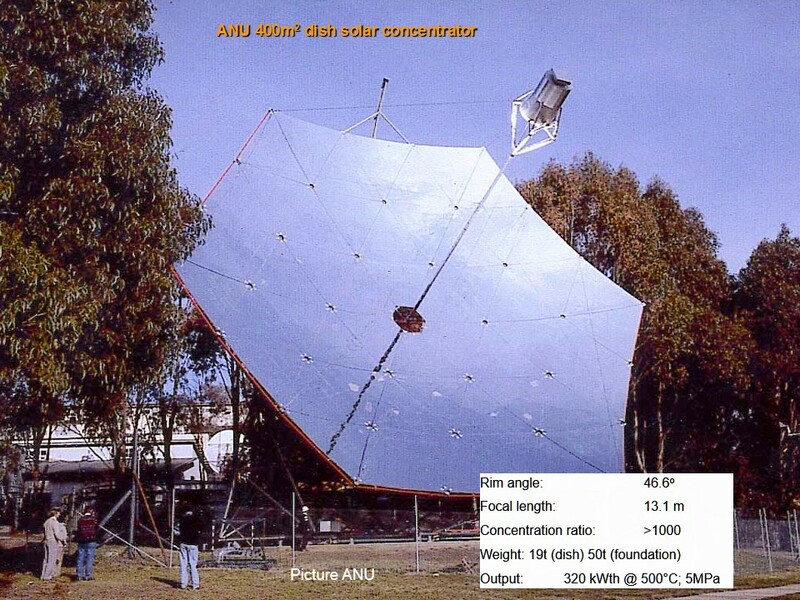 The development of the 500m2 dish design was preceded by many years of activity at ANU with some key projects along the way. 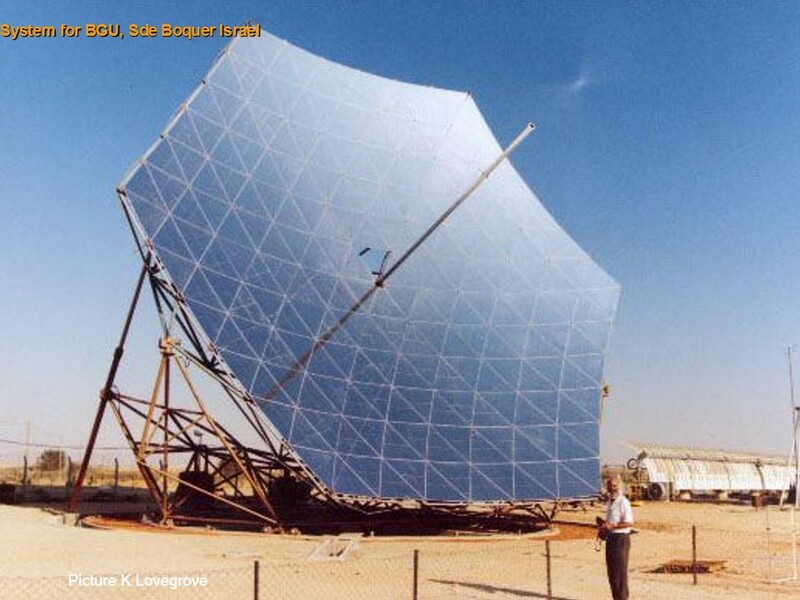 The solar thermal activities at the Australian National University were started by Professor Stephen Kaneff and Dr Peter Carden in 1970/71. They worked within the then Department of Engineering Physics of the Research School of Physical Sciences. From an early stage Kaneff and Carden settled on dish concentrators operating in distributed fields as their strategic choice. Ammonia based thermochemical energy storage was chosen as an approach to transfer energy from a dish field to a central power block. Networks for transporting the energy as superheated steam were also considered. Ben Gurion University produced a video on their (PETAL) dish in 2003. Professor David Faiman describes the background and outlines their plans to test it for concentrating photovoltaics. Note that at the time they were quite accurate to describe PETAL as the world’s biggest dish, it is slightly larger than SG3, but lost the title to the SG4 500m2 dish in 2009.